HT Howard & Co Celebrated it’s 60th year in 2013. Originally formed as “Howard and Blow” in 1946, partners Thomas Blow and Hopkin Howard established a business based in Slough primarily to service and maintain vehicles for their customers. In a time where engines were far less reliable than today, they soon recognised a need for specialist engine repair work and the business developed in that direction. 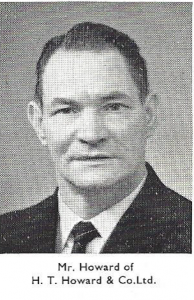 The partnership came to an end in 1952 but Hopkin Theophilus Howard continued trading and H T Howard & Co Ltd was born in 1953. “Old” Mr Howard concentrated on the reconditioning side of the business and became an agent for CORDS Piston Rings and continued until 1966 when he was due to retire. The company as it is today began to take shape after the father of the current owner became aware of Mr Howard’s impending retirement. Tony Hawkes had been working for Gregory’s a company located near Maidenhead railway station and specialising in remanufacturing exchange engines for the Vauxhall/Bedford group of vehicles. 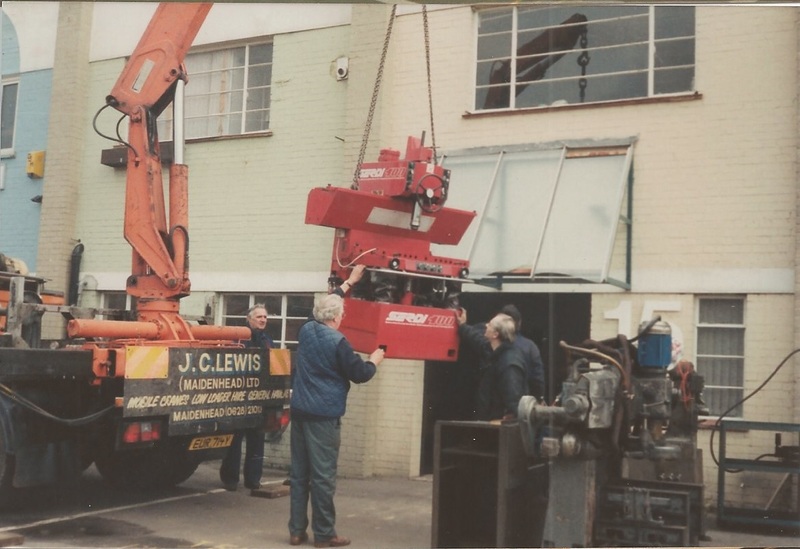 That company was to be taken over by a national vehicle dealership which had no interest in reconditioning engines and so had decided to close down the machine shop making Tony redundant. Tony approached the retiring Mr Howard and in very old school fashion a deal was done to allowing them to work together for one year while Tony got to know the customers before taking over completely. After becoming the boss of a reliable and respected business with a good reputation and client base, Tony decided not to change the name and so the company still carries the name of its original founder to this day. The business continued to grow and Tony was soon joined by his father in law, George Baldwin. He was followed a few years later by Tony’s brother in law Pete Knight. The three of them continued to work together for many years with each of them specialising in their own area of expertise. Pete did the crank grinding, George the head work and Tony the rebores. Along with a flourishing section for supplying parts the company grew ever stronger. The next major development occurred, when in 1979, Andy Hawkes came into the business to join his father. The addition of an extra staff member allowed further expansion into other areas of reconditioning and machining. New machines and equipment were bought and new areas explored. retirement himself. Instead though, the decision was taken to support his son Andy and reinvest with a view to developing the business to a higher level.The father and son team worked ever harder to try and save the money needed to invest in new equipment and machinery. 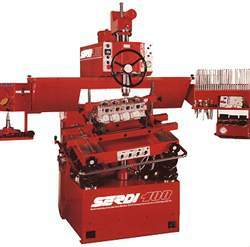 The first fruit of this effort was delivery of a brand new Serdi 100 valve seat machining centre in 1989. 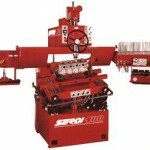 This machine is still operational and is ideal for one off jobs due to its adjustability. This investment was quickly followed by a decision to move from the original Bradley Road site to a newly refurbished building which would allow better working conditions for proposed staff recruitment. 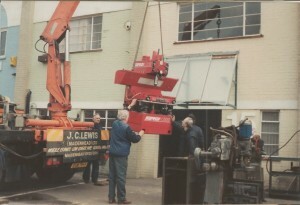 The move to our existing Wexham Road site was completed in April 1990. Our first non family employee joined us in 1992 and was followed by a second in 1996. We have always maintained a policy of employing younger trainees, and through a combination of college based and internal training building them up to be competent machinists capable of achieving the standards we expect. All our existing staff have passed through this training programme and to our credit none of our existing employees has less than 12 years automotive machining experience. In total we have over 100 years of experience between us! 2013 will mark the 60th anniversary for H T Howard & Co and in that time our company has seen many changes to the type of vehicles we work on and the machining services we are able to offer. From humble beginnings working mainly with piston re-rings and the occasional rebore to the present day. We now offer many remanufacturing processes with much higher tolerances demanded by modern and racing engines but remaining sympathetic to the repair of the engines of yesteryear which were the mainstay of our workload during the early days. For 2013 and our 60th year of trading, we have plans to further enhance the Engine Machining Services that we offer to trade customers and to enthusiasts.